CPhI north America 2019, Chicago (USA) . OTC 2019, Houston (USA) . Industrial Production Forum 2019, Milano (Italy) . Uniaria 2019, Bologna (Italy) . 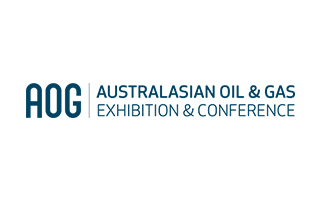 AOG is a showcase of the latest products and services and attracts over 8,000 global visitors providing opportunities to network and learn about the latest technological and innovative breakthroughs which will drive the industry into the future. Explore specialised industry zones showcasing the latest in Instrumentation Control and Automation, Asset Integrity, Subsea, Health, Safety & Environment and Drilling & Completion. Meet the right decision makers and establish connections with engineers, manufacturers, design, contractors, logistics specialists, procurement and transportation service providers over three days at dedicated networking events and on the show floor. Discover the latest products and innovations from hundreds of Australian and international leading distributors and manufacturers that are driving the industry forward. Learn from internationally renowned speakers and technical specialists at free-to-attend Conference sessions held in theatres on the Exhibition floor, featuring three Forums dedicated to Collaboration, Subsea and Knowledge.